Growth form: Annual. Flowering. Mar–May. Status:Native. Common. Also recorded: Kuwait, E Saudi Arabia, UAE. Habitat & distribution: Occurs on various soils and a weed in urban areas, but may have been frequently mis-recorded for C. serpens. Uses: Sap is applied to poisonous bites (Jongbloed et al.). 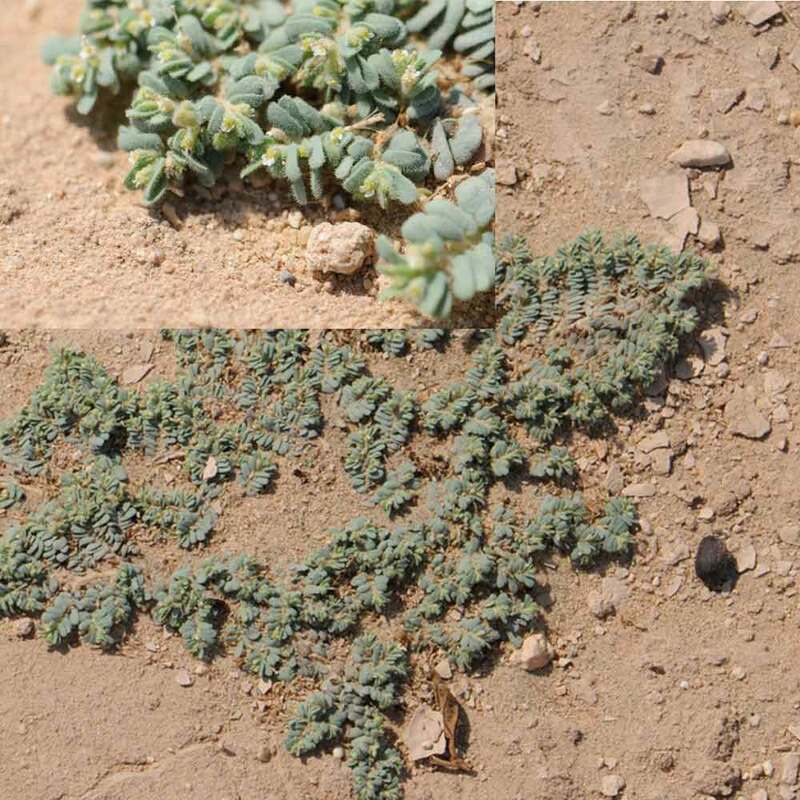 Notes: One of several very similar prostrate Euphorbia species, often treated as Chamaesyce, that occur in damp, disturbed habitats, particularly in lawns, gardens and plantations.